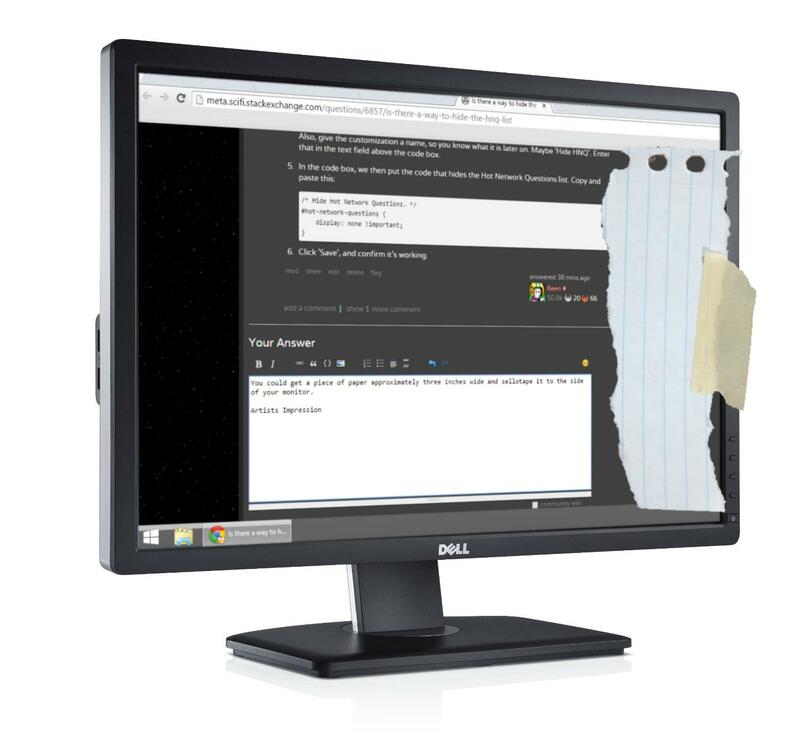 You could get a piece of paper approximately three inches wide and use masking tape to attach it to the side of your monitor. I posted general instructions on how to accomplish this sort of thing over on Super User, but am happy to help people trying to accomplish specific webpage customizations too. We're gonna use something called User CSS, and an extension called Stylish that simplifies the application of User CSS. You're gonna need either Firefox or Chrome to use Stylish. 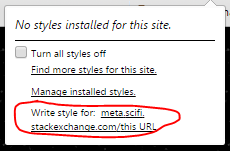 Once you've got one installed, click the appropriate link to install Stylish: Firefox Link, Chrome Link. Also, give the customization a name, so you know what it is later on. Maybe 'Hide HNQ'. Enter that in the text field above the code box. Click 'Save', and confirm it's working. When you check this box, you will no longer see Hot Network Questions in the right sidebar on Q&A sites. The first is dependent on a browser 3rd-Party Extension. I'm personally using an AdBlocker extension on Chrome, but I've seen the same functionality for other blockers, including FireFox extensions. 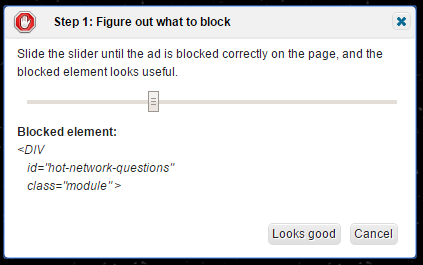 For BetaFish AdBlocker, I can right-click on the HNQ area and choose BetaFish AdBlocker > Block this Ad. Then, I move the slider until it blocks the HNQ div. It will only block that area, and shouldn't affect the rest of the functionality of the site. The settings for this are under the Preferences section of your user profile. The tags are site-dependent, so you much set up blocks for each site you visit that may have the offending material. Is there a way from keeping GoT spoilers out of the Hot Network Questions? How to avoid Star Wars spoilers? Is this site just for books? Can we opt out of SO Blog Posts? Should we exclude (or add) certain tags from the HNQ in order to prevent people from seeing spoilers? Ignored tag still shows up in HNQ? What are the rules for when chat messages appear in a user's inbox? How should I review First Posts on topics I am completely unfamiliar with? Is there an issue with (my) daily vote limits? Is there a way to resize displayed pictures? Why were the “Not an Answer” flags on this post about wandless magic in Harry Potter declined? What does closing a Question as a Duplicate actually do?